Fussing and crying are a normal part to life for infants, but some babies cry a lot more than others. When healthy babies cry excessively for no apparent reason, doctors call it colic. Predictable crying episodes. Babies with colic often cry at about the same time each day, usually in the late afternoon or evening. These crying episodes can last from just a few minutes to more than three hours. Your baby seems unconsolable. A colic baby’s cry is pretty intense. It’s often high-pitched. Their face is usually flushed, and it often seems impossible to comfort them. Curled legs and clenched fists. During a crying episode, colicky babies often tighten their abdominal muscles, pull their legs to their chest or clench their fists. Colic usually peaks at around 6-8 weeks old and declines by 3-4 months of age. There’s widespread debate as to what causes colic. Some doctors see it as a natural development stage as your baby adjusts to life outside the womb. Long bouts of crying can also result from the trauma of birth. Regardless of how your baby was born, the birth process is traumatic. If he has an area in his spine where he vertebra is pinching on a nerve, this can result in headaches or neck pain. The only way a baby has to tell you he is in pain is to cry. Others suggest that colic stems from an imbalance of the brain chemicals melatonin and serotonin. Babies get plenty of melatonin from their mother while in the womb, but the levels drop after birth until he starts producing them on his own (around 3-4 months of age). Some colicky babies can be gassy. If this is the case, they’ll often settle down after passing gas. If you find that your baby is fussy after a meal, lay her on her back, bring her knees to her chest and gently roll their legs in a clockwise motion, and burp her, often, during the feeding process, feeding her smaller meals more often. Harvey Karp, MD suggests soothing your baby by mimicking life inside the womb. He calls this the Five S’s: swaddling, “shooshing” loudly in your baby’s ear, swinging or swaying, sucking on a pacifier, and laying on her side. Dr. Karp’s methods are some of the best colic remedies available. He suggests doing all five in sequence, but many parents find success in just one or two. The chiropractors at Fulk Chiropractic specialize in chiropractic care for infants. They offer gentle chiropractic treatment to infants while they lay on a parent’s chest. They recommend having your baby examined during the first few weeks of life to ensure that all of their bones and joints are functioning correctly. Chiropractic treatment has been proven to be one of the most effective forms of colic remedies. By correcting any misalignments in your baby’s spine, you can ensure that she is free from the pain of a headache, neck pain or back pain that can so often happen during the birthing process. Music, static from a radio station, the sound of a vacuum cleaner or dishwasher can be soothing to a baby. These colic remedies often work because these sounds mimic the sounds they heard while in the womb. All babies love to be close to their mothers and fathers, so it’s no surprise that holding and rocking a baby is often an effective colic remedy. Consider wearing your baby in a baby carrier or sling. In the womb, she was held and rocked 24/7, so keeping her close while you get a little bit of housework done can keep her calm AND leave your arms free. If your baby’s crying is incessant, don’t be afraid to take a break. Place him securely in his crib and take a few minutes to yourself. New babies are exhausting. Find at least 30 minutes a day that you can take time just for yourself. Enlist the help of your spouse, grandparent or a friend. Also consider getting involved in a mom’s group. The support of other women who have experienced (or are experiencing) some of the same things you are is reassuring and encouraging. You don’t have to parent alone. It’s always okay to ask for help. At Fulk Chiropractic in Kansas City, we understand that it takes a village. That’s why we offer 24 hour emergency care where you can call and speak with one of our doctors outside of our regular business hours at no cost to you. They can be reached at 913-764-6237. Isaiah Sadowski started going to a chiropractor when he was 10. He had been experiencing chronic, severe headaches. Desperate for answers, his mom, Phyllis, consulted with her primary doctor, her family chiropractor and several other professionals before she finally discovered that they were caused by food sensitivities. More and more Kansas City parents are turing to family chiropractors to treat their kids. According to the Centers for Disease Control, more than 3% of children in the U.S. were treated by chiropractors in 2012. That’s almost 2 million children, and that number is growing. Phyllis and her family see the doctors at Fulk Chiropractic, a Kansas City family chiropractor who specialize in pediatric care. Phyllis also brings Isaiah in to see Dr. Spoonemore after accidents and falls. “Shortly after we moved here, he took a hard fall off his bike. He’s had a history of concussions, so we just wanted to have his head and neck checked out,” she recalled. As children grow, they often experience growing pains. Growing pains are muscle cramps and aches that often occur in the late afternoon, evening and even in the middle of the night. They’re most-often felt in the legs during the preschool and preteen years. Phyllis still takes Isaiah to their pediatrician for respiratory symptoms or symptoms such as a sore throat and cough, but she tends to take bumps and sprains that involve musculoskeletal pain to her family chiropractor. She tends to go back and forth between her pediatrician and chiropractor for more serious problems. As more Kansas City parents become frustrated with the over-prescribing of antibiotics, they are seeking counsel from both pediatricians and chiropractors. But, this balancing act isn’t always easy. Many parents take the time to research the symptoms the child is experiencing and then try to determine which professional to see, first. The family chiropractors at Fulk Chiropractic have developed a local network of medical doctors, pediatricians and OBGYN’s in the Kansas City metro area. They work together to keep the patient’s health as the top priority. Can Chiropractic Help with Bed Wedding? When she was 18 months old, she climbed over her crib railing and did a summersault landing flat on her back. When she was 20 months old I was changing her diaper on the changing table. As I was reaching for something, she rolled off and landed flat onto the floor. When she was 3, she was climbing up the ladder to the treehouse on my parents farm and missed a step. She fell 8 feet, landing hard on the grass and leaves below. Last year, I was rear-ended by a college student while I was waiting at a stop light and my daughter was in the car. Both of our heads were jerked backwards and she complained of neck pain later that day. Am I a negligent parent? The truth is, most kids sustain tons of little bumps and falls, especially in early childhood, regardless of how hard we work to protect them. But, after each of these falls, I took her to our local Kansas City kids chiropractor. I wanted the piece of mind of knowing that she hadn’t sustained a serious injury. 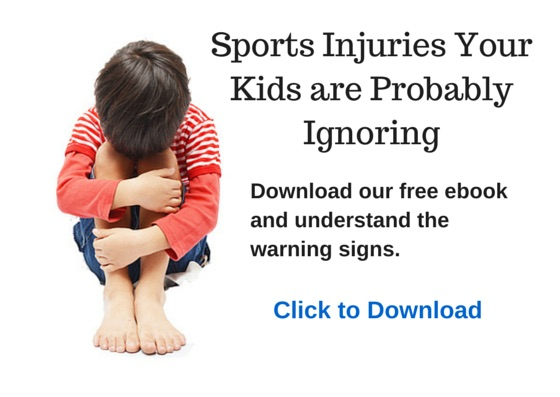 Fulk Chiropractic’s kids chiropractors understand a parent’s worries. Most of them are parents, themselves. They know that the bumps and falls that children sustain throughout their childhood have the potential to become more severe if the damage they cause is left untreated. That’s why they are offering free chiropractic care for Kansas City’s kids during the week of August 17-23, 2015. Fulk’s kids chiropractors will provide free pediatric chiropractic care to all Kansas City-area children under the age of 18 during Kids Week. Open 7 days a week, our kids chiropractors provide pediatric chiropractic care to hundreds of Kansas City children every year. To learn more about how chiropractic care can help your child live a longer, happier life, schedule your appointment for next week below!